In case you hadn't noticed! We will put our tree up in the next few days, we would normally wait until next week but we need something to lift our spirits amongst all this wind and rain. I use a lot of fresh decorations (for fresh you can insert "free" as I gather it all from our garden and the surrounding countryside), so they will have to wait until next week but the tree will be very welcome. I have made some new decorations this year having been inspired by all the wonderful creations I have seen around blogland. I love Caroline's stars and the Yo-Yo garlands popping up everywhere are brilliant, I have really enjoyed reading about other people's Christmas traditions in the last few weeks, in particular I enjoyed reading Suzi's post about a Bavarian Christmas. I had really never heard about Christkind before and my children listened avidly as I shared the story with them. Whilst Christmas shopping on Amazon, it would seem I somehow accidently dropped a little something for myself into my basket. 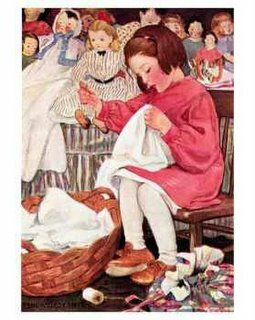 I have always been a fan of Erika Knight and indeed most of the baby garments I have knitted have come from one or other of her books. 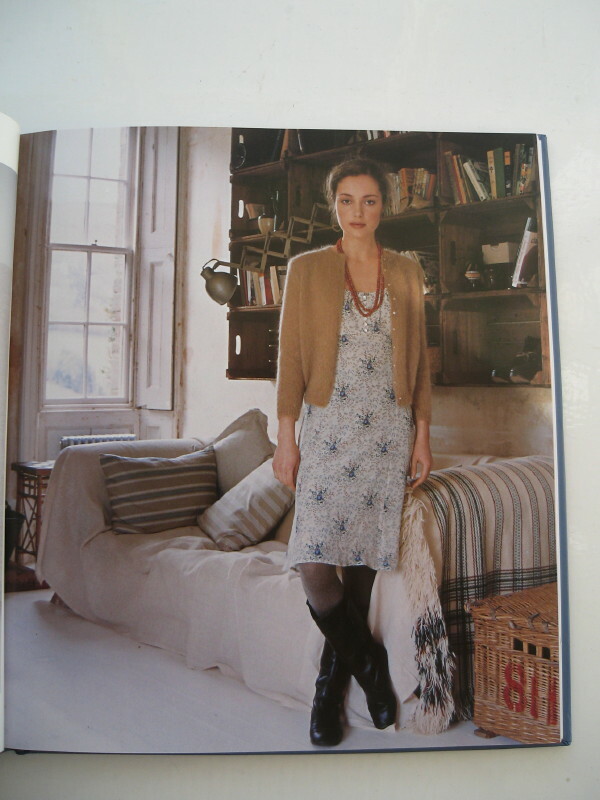 This book is perfect, I think I want to knit everything in it, yes really, everything! 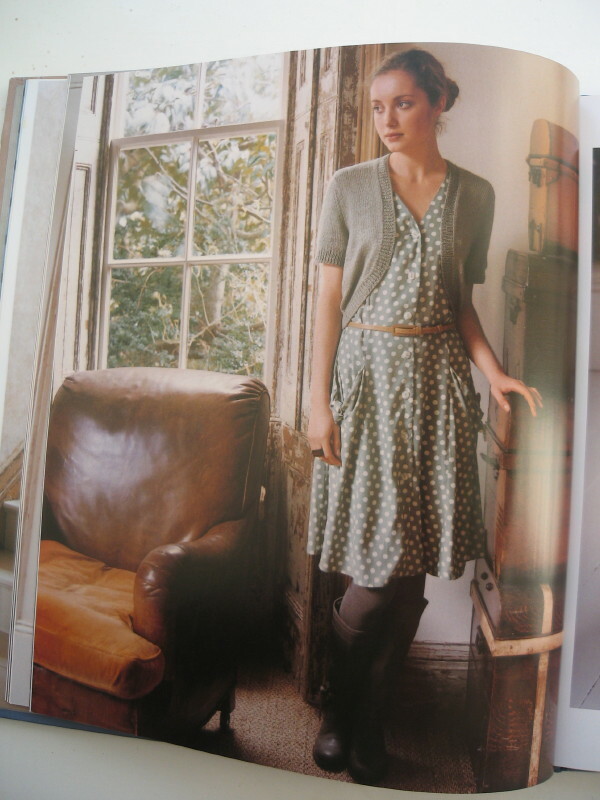 I don't think I have ever had a book with so many "must knits". 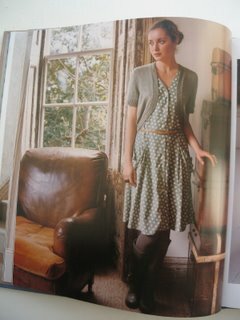 They are all simple, classic, very wearable patterns using yarns familiar to me, a lot of them use fully-fashioned shaping which I really like. I probably have variations of most of these patterns in other books but it is great to have them all together in one place and all written for yarns that I love. Oh, this sounds like a very nice book - I'll have to check it out! I was just looking on Amazon at the two you recommended the other day, when we lost power (nasty wind storms, here lately). I already saw some pictures of this books at colourway and was thinking shall I or shall I not buy it, I am always a bit bad conscience-stricken about buying more knitting books, my shelf is already so cramped with them. But now you gave me a wonderful excuse - on the one hand your great taste and a similar style to my preferences, and on the other hand saving shipping when ordering presents. Thank you so much. And also thank you for your nice words about my post, the Christkind is such a lovely person and tale for children, I hope they enjoyed it. I was dithering over that book the other day thinking it might be a good present for me. That's great to find a book with lots of projects you want to try. My mother says she always wanted to knit all the patterns out of one book just for the challenge of it. 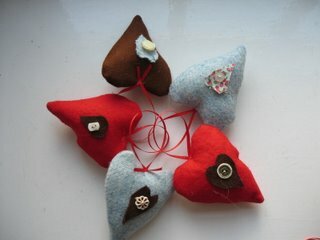 I love, love, love your felted hearts! You are so inspiring! I was just preparing the dinner when I thought of your blog and noticed, that I have completely forgotten to say how much I love your Christmas hearts! I did one also last winter, but the shape of mine was more wider and yours are a bit "pointy" and this I really love much more. Great design for future hearts, thank you for showing! The book looks lovely. That's how I feel abou the latest Vogue knitting - it's all yummy!! DH may be a bit upset if you knit everything in the book before knitting him a scarf, perhaps? 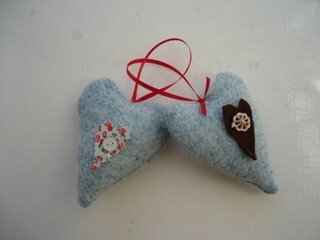 LOVE the hearts, so festive but simple. I had not seen this book, I like the patterns though so I ordered it this week. Thanks for the recommendation. Happy New Years! I love your decorations and that book looks wonderful. Have a good Christmas.